The beat and the pulse. 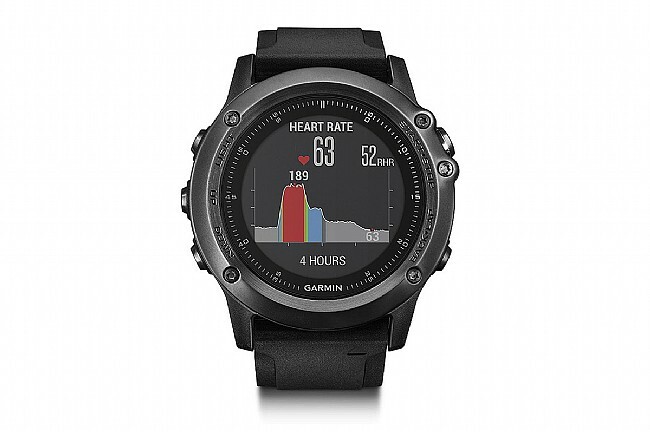 The Fenix 3 HR is more “super-sport” that multisport, blending the capabilities of a multisport watch with an integrated optical heart-rate sensor, an outdoor GPS watch, and a smartwatch. 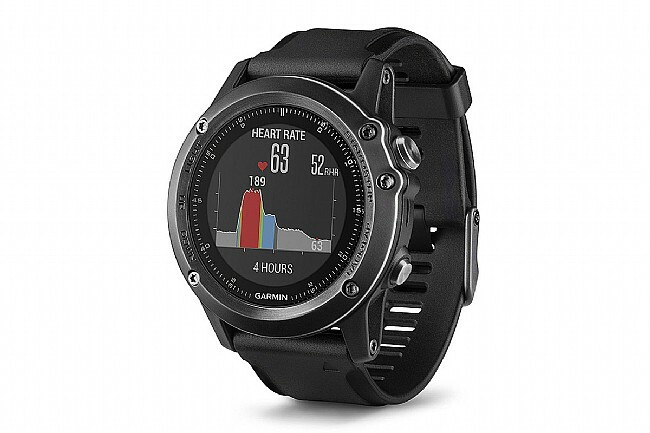 GPS and GLONASS satellite satellite tracking capabilities make sure you never drop off the map no matter how far off the beaten path you go, and built-in heart-rate monitoring means 24/7 tracking of activity and calories-burned without wearing a pesky strap. 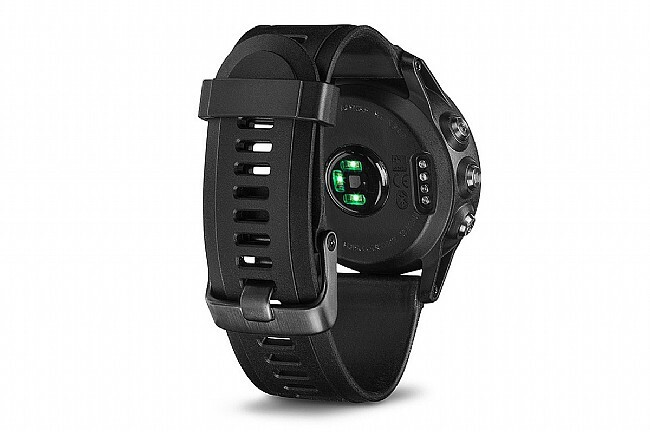 While the Elevate™ integrated heart-rate sensor obviates the need for a chest strap for traditional HR tracking, this bundled version includes a special Garmin HRM-Run chest strap that includes additional accelerometers for measuring advanced running dynamics such as stride length and vertical oscillation. Rugged construction with stainless-steel bezel, sapphire lens, and treated silicone band plus a 10 ATM water rating make this watch just as capable underwater as on mountain tops. 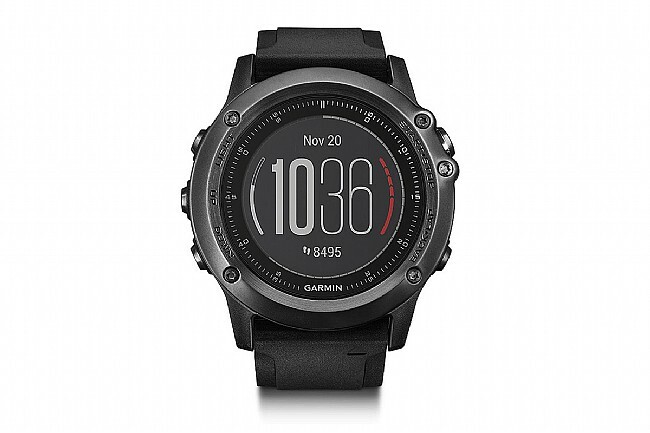 Altimeter, barometer and three-axis compass give you exceptional outdoor navigation capabilities. 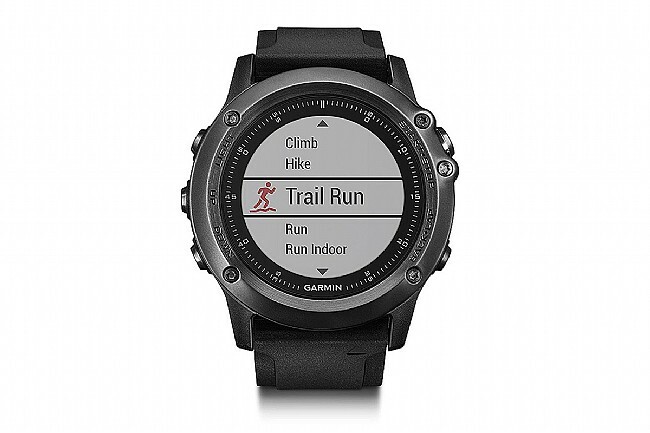 Bluetooth and Wifi pairing allows the watch to display smart notifications – pushing text messages, emails and alerts to your watch, as well as providing quick wireless data sync'ing to Garmin Connect Mobile or other training analysis platforms like Strava. Connect IQ access allows customization of the watch face, data fields, and downloadable apps. Includes USB charging / data cable, AC adapter, and user manual. 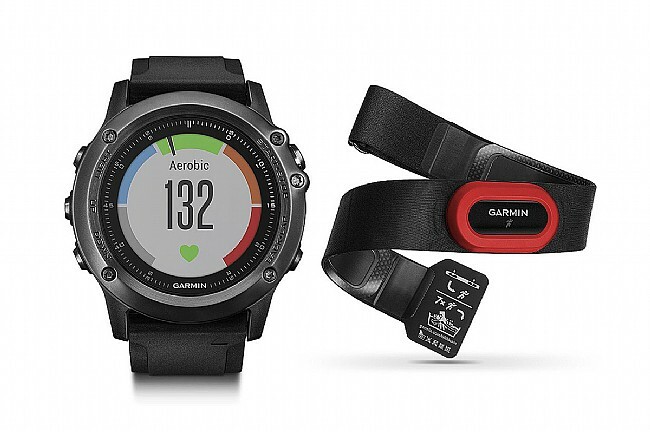 This bundled version additionally includes a Garmin HRM-Run chest strap for recording advanced running dynamics such as stride length and vertical oscillation.